Serve both hot and chilled food items in one convenient mobile unit with the Lakeside 6750 Serve-All™ 67" mobile food station. 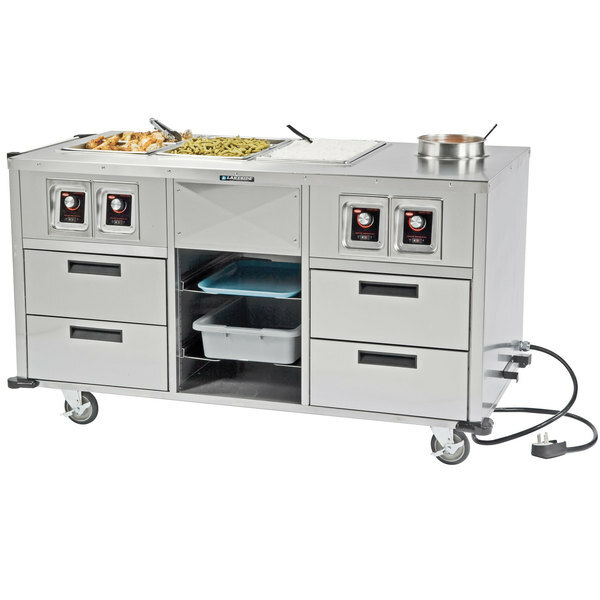 Ample serving and storage space makes this food station ideal for buffets, banquets, and catered events. 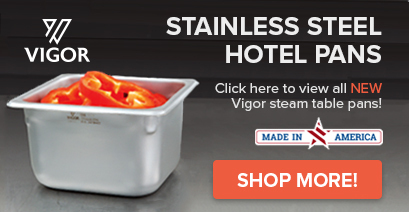 The countertop features three full-size dry heat wells and one 7 qt. soup well with insert, all heated by their own individual controls. To easily access utensils, food wrap, and spices, the cabinet comes with two utility storage drawers. Plus, two 12" x 20" eutectic bins provide chilled storage for items like fruits, beverages and other perishable ingredients. For additional storage of hold trays, bus tubs, and more, this station even includes an open compartment with two pairs of removable universal ledges. Everything you need for serving is within arm's reach with this versatile station! For added durability and longevity in your high-volume operation, this food station is made of stainless steel to ensure that it can withstand even your busiest hours. In the event of unexpected spills, the all-metal construction allows for quick and easy clean up. The heavy-duty 5" swivel casters provide optimal mobility in your dining area, and they are non-marking to help prevent floor damage. In addition, the end-mounted push handle helps maximize comfort and minimize effort when transporting, while the bottom corner bumpers protect your station and your walls! The Lakeside 6750 Serve-All™ mobile food station requires a 220V electrical connection. Dry Well: 20" x 12" x 6"
Soup Well Capacity: 7 qt. This unit comes with a NEMA 14-20P plug.